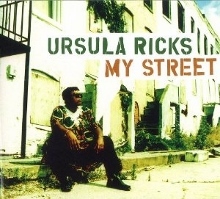 Okay, we admit it: we hadn’t really heard much about soul/blues singer Ursula Ricks either before receiving a copy of her debut album My Street (Severn Records), despite having spent quite a few years bouncing around the same Baltimore/D.C. suburbs where Ricks has been performing now for some 20 years. But hers is a name we won’t be forgetting anytime soon, with Ricks turning out one of the year’s most pleasant surprises in My Street. The first thing that strikes you about Ricks is her deep, sandpapery voice, which ranges from the tough, gritty approach of the swampy opener “Tobacco Road” – featuring The Fabulous Thunderbirds’ Kim Wilson on harmonica – to the slow, passion-filled R&B vocals of the “Sweet Tenderness” that follows. From there, Ricks – backed by a house band that includes Wilson’s T-birds bandmate Johnny Moeller on guitar – takes things a little deeper with a funky cover of Bobby Rush’s “Mary Jane”, which also sets the stage quite nicely for the album’s groovy title track, featuring some particularly splendid work from Kevin Anker on keyboards. The addition of strings as well as the guitar of special guest “Monster” Mike Welch combine with Ricks’ strong vocals and lyrics (such as “called a liar, blamed for theft, too many days with nothin’ left”) to make the haunting “Due” one of the album’s very best tracks, with Welch also staying on for the slow-grooving “Right Now”. With its Paul Pena-like sound and lyrics, “The New Trend” is a breezy tune accompanied by a serious message, before Ricks goes back into R&B mode with the steamy, strings- and horn-laced grooves of “Make Me Blue”, a soulful cover of Curtis Mayfield’s “Just a Little Bit of Love”, and the greasy closer “What You Judge”. Blending the blues, soul, R&B, and funk, Ricks offers a unique and captivating sound that might best be described as a cross between Shakura S’Aida and Jonny Lang, with our sole complaint about the album being that it includes only ten songs. When it comes to picking up a copy of My Street, we can’t think of any better way to put it than Ricks herself sings on one of these terrific tracks: “Get up, get out, and do it right now”. 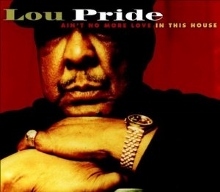 And if you’ve got room for a bit more soul-blues, you might also check out another new release from Severn, the final album from the late Lou Pride entitled Ain’t No More Love in This House. Recorded just before Pride’s death in June of 2012, the album includes four original tracks that are among the disc’s strongest – including the swaying title track, the funky, horn-laced “She Boom Boom Me” featuring some particularly inspired playing from guitarist Johnny Moeller, the soft soul ballad “We Can Do What We Want” with Caleb Green accompanying on vocals, and the soulful, swinging “Love Come Got Me”. Combined with such covers as a groovy Sam Cooke-sounding take on “I Gotta Move On Up” (Luther Allison), the funky creeper “I Didn’t Take Your Woman” (reversing genders on the Ann Peebles classic “I Didn’t Take Your Man”), an R&B version of the reggae number “Never”, and a soulful adaptation of the 1980s Simply Red tune “Holding Back the Years”, Ain’t No More Love in This House is as fine and special a farewell as one can possibly imagine. This entry was posted in Albums and tagged Johnny Moeller, Kim Wilson, Lou Pride, Monster Mike Welch, Ursula Ricks. Bookmark the permalink.